Handmade in England. Great taste 2013. Splendidly creamy with a truly rewarding nutty crunch. Gluten free. No artificial flavours, colours or preservatives. Suitable for vegetarians. "The finest air popped corn coated in our smooth caramel & crunchy peanut butter." The unique taste experience of our air-popped corn Start with... 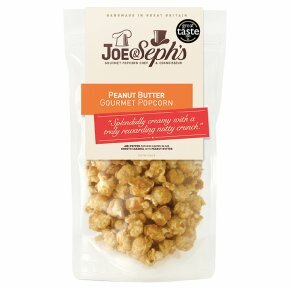 Buttery Caramel Followed by... Crunchy Peanut And to finish... Peanut growing in intensity "If you don't love this popcorn......I'll eat my hats!"